Metcalf Institute for Marine & Environmental Reporting, a global leader in providing science training for journalists, invites early- to mid-career journalists to apply for its competitive 21st Annual Science Immersion Workshop for Journalists. 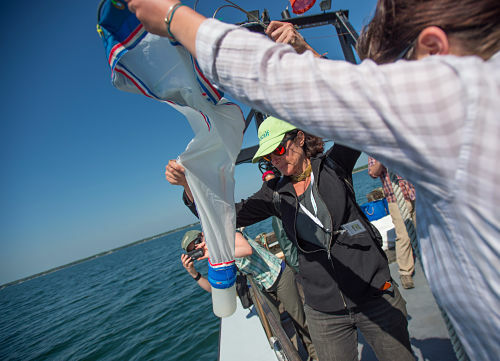 The workshop will be held June 2-7, 2019, at the University of Rhode Island Graduate School of Oceanography, one of the nation’s premier oceanographic research institutions. Ten early to mid-career journalists will be selected for the fellowship, which includes tuition, room and board, and travel support, thanks to the generosity of private donors and the Metcalf Institute endowment. Two of the ten slots will be awarded to internationally based journalists. The Metcalf Institute Workshop provides journalists with hands-on experience and expertise from leading scientists and policymakers who are working to project the impacts of climate change, identifying adaptation measures, and investigating the most effective ways to communicate these challenges. While focusing on local and regional U.S. examples, the Workshop addresses topics of global significance. Applications for the 2019 Annual Science Immersion Workshop for Journalists are due by Feb 18, 2019.